Community members gathered at Henry Mayo Newhall Hospital’s Henry Mayo Center to commemorate the Sheila R. Veloz Breast Center for 15 years of service. 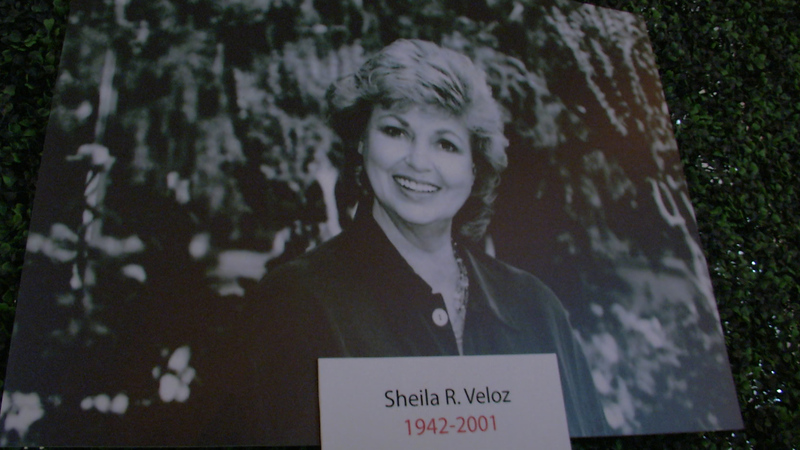 On December 16, 2002, the Sheila R. Veloz Breast Imaging Center (the name would later change to the Sheila R. Veloz Breast Center) opened its doors. Created by Henry Mayo Newhall Hospital through the experience of breast cancer survivors, patients and their families, the center was designed with a patient’s physical and emotional needs in mind. Named in memory of Sheila R. Veloz by a generous donation from her husband, the late Tom Veloz, and seeded through the efforts of Wayne and Dianne Crawford and Don and Cheri Fleming via the Crawford-Fleming Golf Invitational. Since its inception, the Sheila R. Veloz Breast Center has seen more than 166,000 patients over a 15 year span in the Santa Clarita Valley. Provided services to nearly 2,300 underinsured and uninsured patients through grants and community.